Posted on 8 November, 2016 at 9:41 am. We provided a Smart TV to Solihull Life Opportunities, or SoLO. SoLo is a charity in Solihull that provides social and leisure activities to people of all ages who have learning disabilities. Our CEO Tim went to visit SoLO to see how their new Smart TV was making a difference. 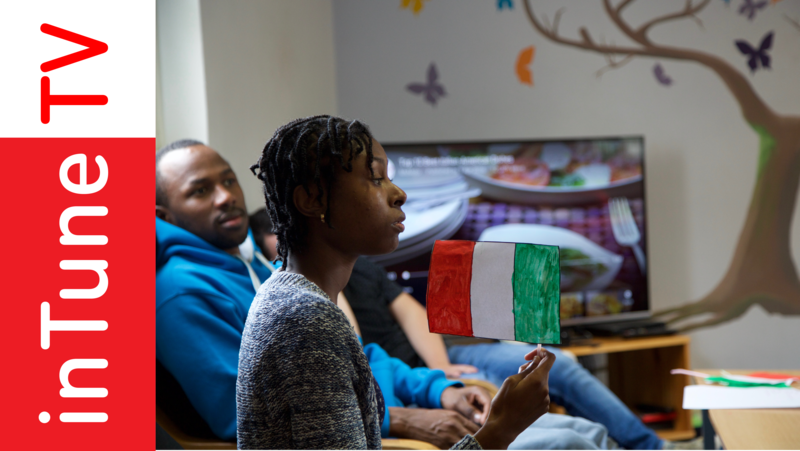 On the day that Tim visited, the young people at SoLO were having an Italian Day. There were lots of different activities to get involved in and things to learn. The staff used the TV to show cookery videos on YouTube, and then everyone helped cook pasta for lunch. There was an Italian quiz, and the TV meant everyone could see the questions and the correct answers. 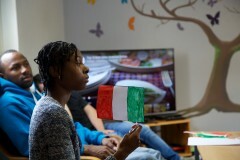 It was also useful for playing Italian music while the young people made their own Italian flags to take home. In the video below SoLo’s staff members tell us about the centre, and how they use the TV.